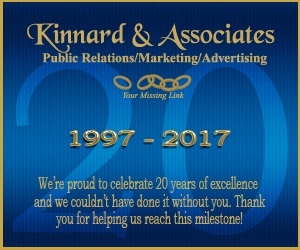 Kinnard & Associates is a full service marketing communications agency which specializes in inclusive and targeted marketing. Established in 1997, the Agency is led by founder, president and chief executive officer Rhea W. Kinnard who has, for more than 20 years, connected her marketing communications expertise to an array of clients across the country. While most agencies are thinking outside of the box, she simply creates the box. She has helped her clients reach beyond monolithic trends and open their doors to innovative and creative ideas that help foster successful results. Her talent and services have been especially sought after in the construction industry to help these corporations develop outreach strategies designed to connect minority and women-owned businesses to their procurement opportunities in the vastly growing industry. To date, her expertise has helped award more than $250 million to these businesses. Additionally, she and her team of consultants continue to develop and implement successful strategies to help her clients reach their targeted markets. Whether it is creating a vehicle to help deliver a message to a specific audience or simply developing effective messages for any medium that exists, Kinnard & Associates is committed to helping their clients build the right brand, target the right audience with powerful messages delivered by the right medium that get results. Let us be "Your Missing Link"